Welcome to our Employment Opportunities page! If you’re looking for an opportunity to be appreciated and involved in your career, your search is complete. We have a great history of providing excellent career opportunities for sharp, energetic people. Must have great phone etiquette and be able to handle heavy call volume. Email a copy of your resume and cover letter to callen@raycatenaedison.com for consideration. Must be great with customers. 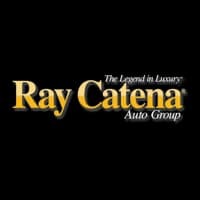 Ray Catena Auto Group	40.5158974, -74.3717897.